Las Vegas is packed with some of the most spectacular wedding and special event locations you can find. 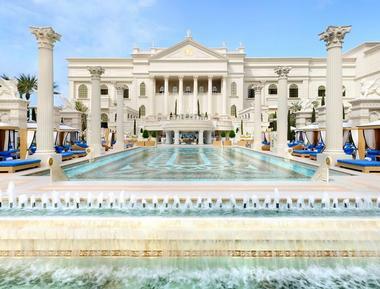 Whether you want to get married overlooking the Fountains at Bellagio or in the tropical surrounds of Joël Robuchon, Las Vegas has an exceptional venue for everyone. Designed by world-renowned architect Frank Gehry, the breathtaking Keep Memory Alive Event Center is an iconic events venue that promises to leave lasting memories. 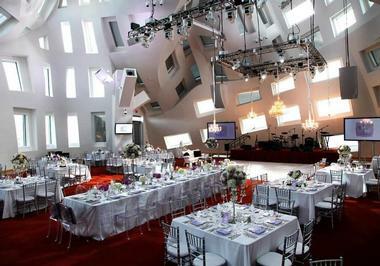 Situated in the Las Vegas Symphony Park neighborhood and just minutes from the Las Vegas Strip, the Keep Memory Alive Event Center offers a 9,200-square-foot blank canvas that can be transformed to create an enchanting venue for celebrations of up to 450 guests for a seated dinner and up to 700 standing. A Gehry-designed grass garden and breezeway can accommodate receptions for up to 1,500 guests, while the Gehry-designed décor, bars, furniture, and specialty linens add a glamorous touch. Set in 10 acres of lush landscapes in the Vegas Valley, The Secret Garden offers a beautiful and romantic venue for weddings and vow renewals. Family owned and operated since 1962, the full-service wedding venue features a traditional gazebo, sparkling fountain pool, hanging chandeliers, and bistro lights in huge ancient trees, creating the perfect setting for making lasting memories. A grand ballroom with chiffon-draped ceilings, a glamorous champagne-pink ladies room, and a beautifully appointed private bridal suite are some of the venue’s premier facilities, while an iconic classic car collection or romantic horse and carriage are available for ceremony entrances. Bear’s Best Las Vegas is an 18-hole, Jack Nicklaus-designed championship golf course that features manicured bent grass greens, challenging courses, and immaculate fairway/tee complexes. The golf club specializes in providing a beautiful venue for elegant and memorable all-inclusive weddings and other special celebrations with breathtaking views of the Red Rock Canyon and the world-famous Las Vegas Strip. The gracious club features state-of-the-art yet stylish venues which can accommodate various sized parties, an experienced private events team to take care of every detail, and an unparalleled level of service, professionalism, and creativity to ensure an unforgettable experience. Located just minutes from the Las Vegas Strip and McCarran International Airport, Canyon Gate Country Club offers an outstanding range of first-class amenities, including elegant venues for weddings and other functions. The club provides beautiful places for both intimate and grand weddings with the ability to accommodate up to 250 guests for afternoon and evening wedding ceremonies and receptions. With marble pillars, floor-to-ceiling glass windows, and a spacious balcony overlooking the pristine greens and rugged Red Rock Mountains, the Canyon Gate Grand Ballroom is the perfect venue for a picture-perfect Las Vegas wedding. Located in the Stratosphere Casino, Hotel & Tower, Chapel in The Clouds is quite literally that. Set on the 112th floor of the hotel and 1,149 feet above the city that never sleeps, the wedding venue includes two classic chapels for the ceremony and a selection of elegant reception venues. Breathtaking indoor and outdoor venues range from the Observation Deck on Levels 108 and 109 to a private balcony on level 112, both of which will leave a memorable mark. Services at the Chapel in the Clouds include professional wedding planners, preferred vendor lists, concierge services for dinner and shows, and organization of bachelor and bachelorette parties. 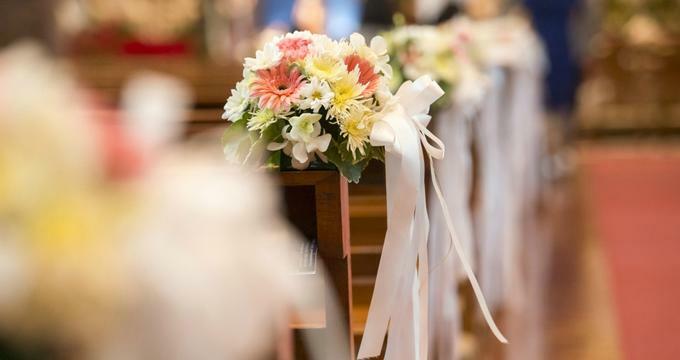 Established in the 1950s, the Chapel of the Flowers has been providing traditional, intimate, and elegant weddings on Las Vegas’ world-famous strip for over 60 years. The full-service wedding venue features three lovely wedding chapels set among cobblestone-accented grounds and lushly manicured gardens, along with a pretty outdoor gazebo and the Glass Garden for those who want something different. One of the earliest chapels built on the Strip, the Chapel of the Flowers has seen many celebrities and other famous people get married in their quaint, romantic chapels. The Cosmopolitan of Las Vegas is a luxurious hotel on the Las Vegas Strip that offers stylish and sophisticated venues for weddings, celebrations, and other functions and events. Whether an intimate ceremony or a spirited reception, the elegant hotel has a place for every occasion, from the ultra-exclusive Chelsea Penthouses with breathtaking views of the city to the iconic Chelsea, an abandoned glass factory turned working theater, which is now a stunning combination of industrial grit and artistic glamor. Wedding experts will take care of every detail, and a range of exceptional wedding and reception packages are available for every need. 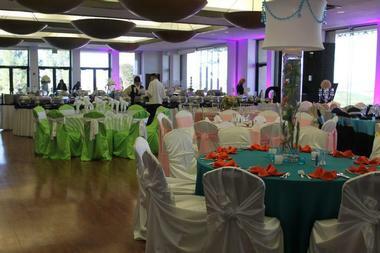 The Emerald at Queensridge provides a gorgeous selection of elegant venues for weddings, ceremonies, and receptions. 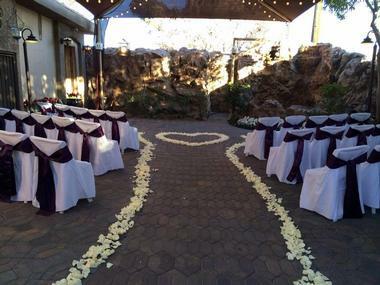 The hotel’s lavishly landscaped courtyard is surrounded by tranquil waterscapes and magnificent views of Red Rock Canyon, providing an idyllic setting for romantic outdoor ceremonies, while the beautiful, climate-controlled grand ballroom presents a unique indoor function venue. 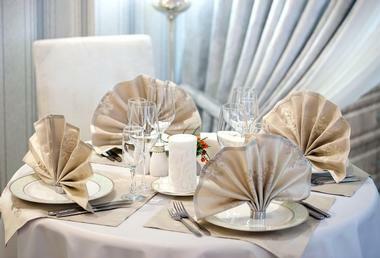 A variety of ceremony and reception packages are offered and include the use of the hotel’s beautifully appointed bridal suite and groom's room, complete photography coverage on the wedding day, a dedicated professional team of wedding planners and specialists to coordinate every detail of the event, pre-ceremony and ceremony music, and more. The award-winning Wynn Las Vegas and Encore boast over 260,000 square feet of private and beautifully appointed settings for all types and sizes of functions and events. Many of the stylishly decorated rooms have floor-to-ceiling windows with spectacular views overlooking the pools and lush, tropical gardens of the resort. 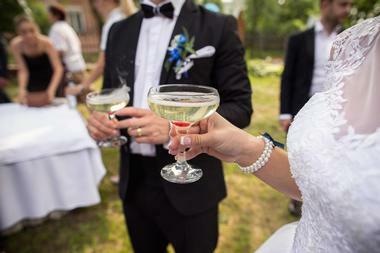 First-class services include a team of experienced wedding staff on hand to take care of every detail, from floral arrangements and catering to cakes and champagne to master photographers and video professionals to capture every memory as well as an array of extras such as luxurious accommodations for the bride and groom, champagne toasts, and more. 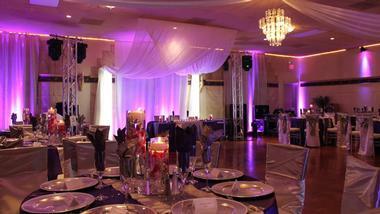 Fabrizio Banquet Hall is a picture-perfect venue for weddings, receptions, ceremonies, and other celebrations. 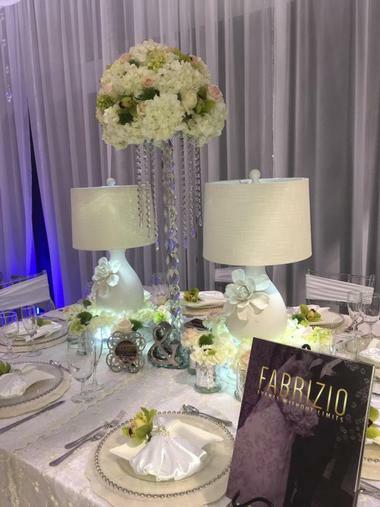 Located on Main Street in Las Vegas, Fabrizio offers an array of facilities, services, and ceremony and reception packages to make every occasion memorable. An elegant 8,000-square-foot banquet hall features intelligent LED lighting and stylish décor that can be customized to taste. Additional services include tailor-made five-star food menus, a team of wedding and event planners and managers to take care of every detail, complimentary shuttle services, and an array of concierge services for both the bride and groom as well as the guests. 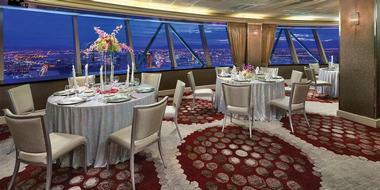 The elegant Four Seasons Hotel in Las Vegas provides an excellent venue for tailor-made weddings and receptions. Offering the impeccable, five-diamond service for which the Four Seasons is renowned, the hotel presents a variety of beautiful places from which to choose, ranging from the lush tropical gardens and sparkling swimming pool areas to the Grand Four Seasons Ballroom, which can accommodate up to 900 guests. First-class services include a professional wedding planning and management team to take care of every detail, catering and customized menus, and a full-service spa and swimming pool experience for every wedding guest. 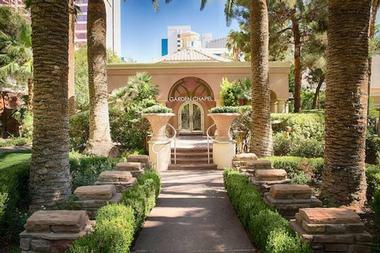 Located at the Flamingo Las Vegas, Garden Chapels offers five beautiful areas to host wedding ceremonies and receptions as well as other significant celebrations. No less than seven wedding chapels and venues are set in a lush 15-acre garden paradise with palm trees, waterfalls, pools, and exotic birds, creating a picturesque backdrop for special occasions. Venues include the Garden Chapel, the Gazebo Chapel, Paradise Falls, Chapel Falls, the Crescendo Pool, and the Splash Pool. A variety of wedding packages are available, as are exclusive extras such as complimentary cake tasting on the first Thursday of each month at the Flamingo Garden Chapel. Faithful to the Caesars Palace tradition, the hotel’s wedding services team offers an experience like no other for a romantic and unforgettable destination wedding. Juno Garden at Caesars Palace offers a variety of wedding and reception packages to suit every taste and desire. Beautiful venues include the blooming floral landscape and Roman architecture of the Venus Garden, which can accommodate up to 114 guests, while the iconic Juno Garden boasts tropical landscaping, lush foliage, and classic Roman architecture. Exclusive extras are offered to make the day even more memorable, such as live characters to spice up the guest list – think Caesar and Cleopatra, Roman guards, and handmaidens, as well as five-star customized menus from award-winning restaurants such as Nobu and Rao’s. The Las Vegas Paiute Golf Resort is an international golf destination that features three Pete Dye-designed championship golf courses and offers an exquisite setting for weddings, receptions, and other significant events. Just 25 minutes northwest of the famous Las Vegas Strip, the Las Vegas Paiute Golf Resort boasts a magnificent 50,000-square-foot clubhouse, which can accommodate a variety of different occasions and a varied number of guests. Floor-to-ceiling windows embrace spectacular views of the surrounding greens and mountains, and premier amenities and services include a private foyer entrance, a beautiful outdoor terrace with shade, a manicured lawn for ceremonies, and audiovisual and wireless Internet capabilities. Rainbow Gardens is an all-inclusive banquet facility that specializes in weddings and receptions with beautiful indoor and outdoor venues. Rainbow Gardens offers a variety of packages tailored to any budget or desire, including customized décor, tailor-made menus, and a team of professional wedding planning and management staff to ensure the event runs smoothly. 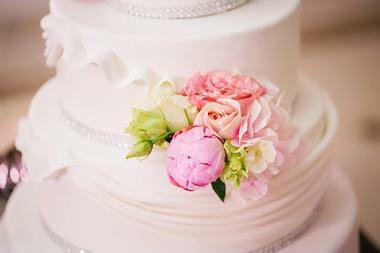 Packages range from small group specials to deluxe combinations, which include a customized ceremony in an indoor or outdoor venue of choice, a hosted open bar with professional wait and bar staff, butler-served hors d’oeuvres, complimentary champagne for the bride and groom, and a custom-designed wedding cake, among others. 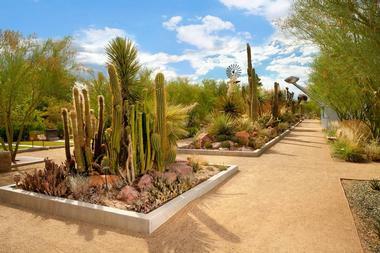 One of Las Vegas’ best places to explore the valley's vibrant history through a variety of interactive nature and science exhibits, hiking trails, a botanical garden and more, the Springs Preserve can also be booked for weddings, receptions, and other special occasions. The Las Vegas Springs Preserve offers beautiful indoor and outdoor venues, ranging from a garden terrace and patio, garden arbor and desert living center to a beautiful banquet room and the Springs Amphitheater. 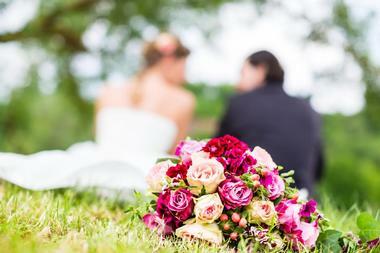 Wedding packages are available and include bride and groom ready rooms, ceremony, cocktail and reception areas, indoor and outdoor venue-specific chairs, audiovisual facilities, and complimentary guest parking. 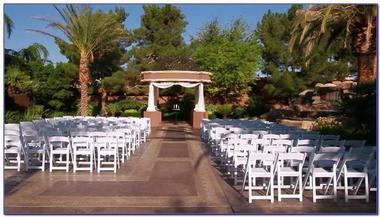 Sunset Gardens has been providing top quality ceremony and reception services in Las Vegas since 1983. Located on 4 acres of exquisitely landscaped grounds surrounded by miles of twinkling lights, Sunset Gardens features three private banquet rooms – the Sunset Room, the Terrace Room, and the Garden Room, each with outdoor garden courtyards that can comfortably accommodate up to 300 guests. The Wedding Chapel at Sunset Gardens is the perfect place for a romantic ceremony with stunning architecture, high ceilings, and a cozy ambiance. Professional and experienced coordinating staff are on hand to take care of every detail, and a variety of tailor-made wedding packages are offered to suit every need. 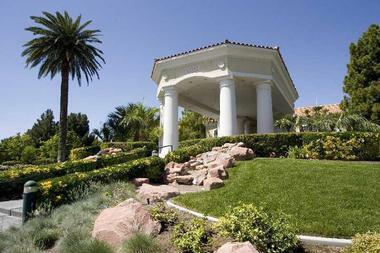 The Grove is a unique private garden wedding and reception venue in the heart of Las Vegas. Located just minutes from the Strip, the tranquil oasis features beautiful indoor and outdoor venues that offer a quiet and serene escape from the city’s bright lights. 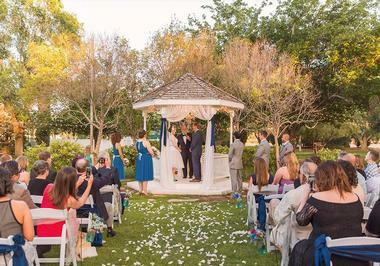 Nestled within The Grove's mature almond trees, an old-fashioned wedding gazebo is a perfect backdrop for a romantic wedding ceremony, while two elegant indoor reception rooms overlook the manicured gardens and can accommodate up to 250 guests for seated reception dinners. 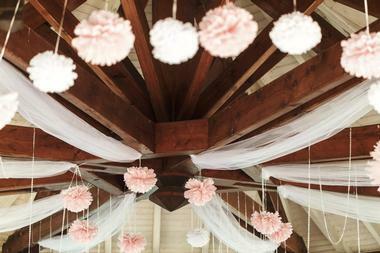 The Garden Terrace Room is slightly more intimate and is the ideal place for smaller functions of up to 50 guests. 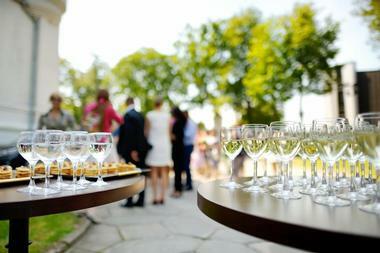 The Grove offers a range of wedding and reception packages to cater to every taste and desire. 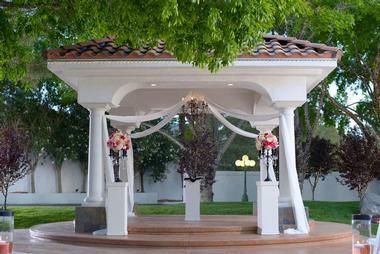 The Lake Club at Lake Las Vegas provides a beautiful venue for a wedding reception or a milestone celebration. 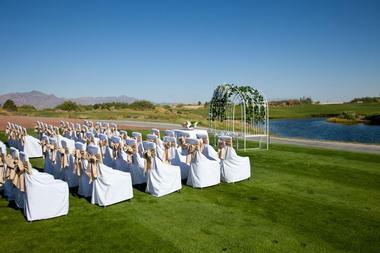 Ceremony sites include a stunning white sandy beachfront locale, manicured green lawns with breathtaking views of the mountains, desert and Lake Las Vegas, and a stunning poolside venue. Indoor venues include the magnificent Mediterranean-style clubhouse, which can accommodate parties of up to 200 guests and features floor-to-ceiling windows with spectacular views. A variety of wedding and reception packages is offered and includes special services such as sumptuous catering menus and award-winning cuisine and highly trained hospitality staff to take care of the all the details to ensure an unforgettable day. A famous wedding venue in Las Vegas, the Little Neon Chapel offers two great locations in which to tie the knot. 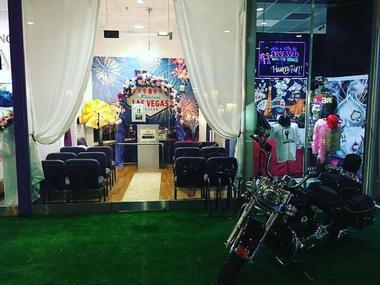 The Original Little Neon Chapel is located in the heart of downtown Vegas at the Fremont Street Experience in Las Vegas, while the Chapel of Crystals is set inside the world-famous Westgate Las Vegas Resort & Casino just off Las Vegas Strip. The full-service wedding chapel offers a variety of facilities and services, including engagement and wedding rings, bridal veils, tuxedos and bridals gowns, wedding receptions, hair and makeup, accessories, professional digital photographs, and more. Other services include the same business day expedite service to obtain your Certified Marriage License after the wedding. The luxurious Mirage Hotel in the heart of Las Vegas offers a range of beautifully appointed venues for destination weddings and receptions. The 40,000-square-foot grand ballroom with a recessed stage is ideal for elegant large-scale gatherings, while a variety of smaller rooms such as the Bermuda, Montego, Caribbean Court and Calypso Court rooms cater for smaller, more intimate occasions. Wedding and reception packages feature a choice of venue, a hosted bar service with professional wait and bar staff, butler-served hors d’oeuvres, complimentary champagne for the bride and groom, and a custom-designed wedding cake. The Smith Center is a world-class performing arts center in the heart of Downtown Las Vegas with the capability of hosting a variety of events and functions, including destination weddings and receptions. Whether a grand gathering or an intimate affair, the Smith Center features a selection of venues to fit every event size and style, ranging from the stylish Founders Room, which overlooks Symphony Park and Boman Pavilion and is perfect for cocktail receptions, to the private Upper Lobby with a balcony overlooking Symphony Park and an elegant lounge area for intimate gatherings. The Smith Center offers a variety of packages to suit every need, along with a spectacular setting, flawless service, and personalized planning. Situated just 15 minutes from the Las Vegas Strip, Wellington Place offers an array of beautiful venues and exclusive wedding and reception packages for important occasions. The Reception Room can accommodate up to 200 guests for a seated reception dinner, and a variety of packages are available, from wedding and reception packages to flower and photography packages. Wedding and reception packages include special up-lighting, Chiavari chairs, a customized wedding cake, professional DJ, a unity or sand ceremony with a wedding officiant, fresh flowers for the marriage party, and a complimentary card box. One of Las Vegas’ most famous hotels, the luxurious Bellagio is the perfect venue for an unforgettable wedding and reception. 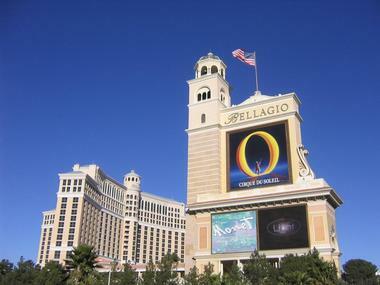 Boasting several beautiful sites, including the East and South Chapels for intimate ceremonies and exclusive Bellagio venues such as the Terrazza Di Sogno, the Hyde Bellagio, and the Fountain Courtyard, the Bellagio caters for every desire. Unique wedding and reception packages are offered and include additional extras such as bride and groom salon services, floral arrangements, digital photography and live webcasting, and group dining options. 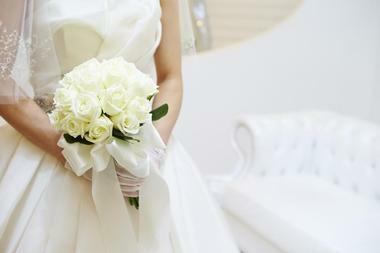 Special rates are also offered to the bride and groom for overnight stays. Blending rural and urban elements to create an elegant and timeless venue, Wedgewood Weddings Las Vegas offers the best of both worlds with spectacular views of the majestic Sunrise Mountain, the bright lights of the city, and the pristine greens of a picturesque golf course. Located in a private gated community, Wedgewood Weddings is an excellent destination wedding spot with three gorgeous outdoor ceremony sites and two beautifully appointed indoor reception rooms that can accommodate up to 250 guests. The sprawling, exclusive 38,000-square-foot clubhouse features a grand entry, vaulted ceilings, and stone and cherry wood details, while the Strip is only 7 miles away for those who want to party after the big day.